On this episode of The Writer and the Critic your hosts, Kirstyn McDermott and Ian Mond, begin by talking about the recent Aurealis Awards – in particular the categories of Best Horror Novel and Best Fantasy Novel, the winners of which have been chosen for this month’s discussion. The full list of Aurealis Award winners can be found on the official website. 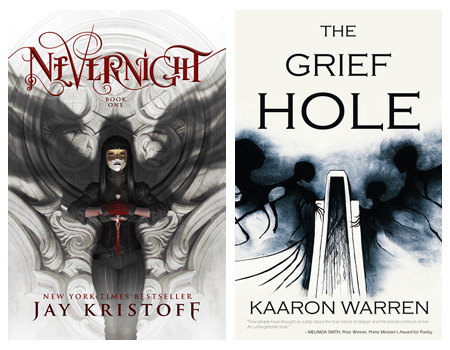 The novels for this episode are: Nevernight by Jay Kristoff (Best Fantasy Novel) [22:00] and The Grief Hole by Kaaron Warren (Best Horror Novel) [57:30].